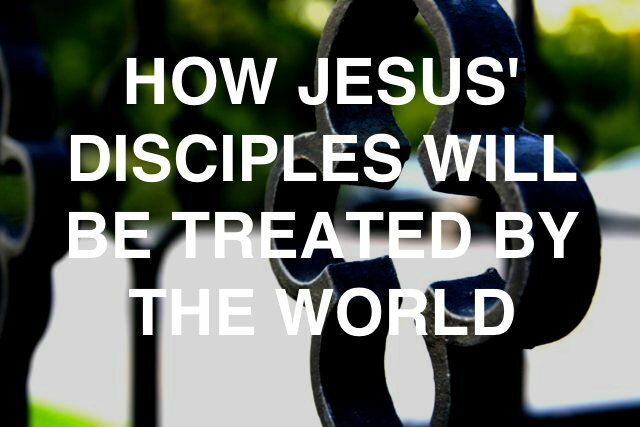 Why would we want to be a Disciple of Jesus? (1) Jesus is worth it. Serving God, being in His will and His promises are greater than any comfort this world offers. Nothing will provide ultimate fulfillment but Jesus. He alone provides a restored relationship with the Father and eternal life, which are the next two motivations. (2) We experience a restored relationship with God (32-33). Those who stand as Jesus’ representative to the world can count on Jesus standing as their representative to the Father. It is important Jesus stand as our representative. It is crucial He acknowledge us to the Father. If He doesn’t, our relationship with the Father is not restored. Instead of experiencing peace and eternal life, we experience eternal damnation. Those, however, whom Jesus represents have a restored relationship with the Father. (3) We experience Eternal Life (22; 39). A restored relationship with the Father results in eternal life. Those willing to give their life to spread Jesus’ message, and those who persevere to the end, experience eternal life. God makes that promisse. Since He is the All-Sovereign, All Mighty, Ruler of the Universe, the Creator of all things, we can trust His promises. (4) Our persecutors will be punished (26). All those who persecute God’s people, and never repent and turn to Christ, will be punished. Nothing is hidden from God. Every action against God’s people will be accounted for. Christians will be vindicated in the end. Our message will prove to be right. Our suffering will not be in vain. God’s name will be upheld. We experience a restored relationship with God. Our Persecutors will be punished. Realizing all the advantages we have in Christ, facing persecution for our beliefs pale’s in comparison to what we will experience in the life to come. Putting that into perspective should help us stand in the face of persecution now, and should motivate us to go out proclaiming the gospel as Jesus’ Disciples. What do we need to know to be an effective witness as a Disciple of Jesus? I will answer that question next time.